It’s difficult enough if your teen or young adult is struggling with a substance use disorder, but what if they also are struggling with a mental health disorder, like depression or anxiety, at the same time? 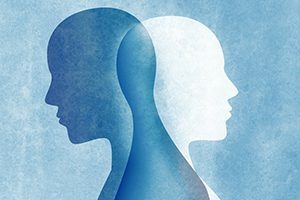 Formerly referred to as “dual diagnosis,” someone struggling with a substance use disorder and a mental health disorder at the same time has a co-occurring disorder. 30% – 45% of adolescents and young adults with mental health disorders have a co-occurring substance use disorder, and 65% or more of youth with substance use disorders also have a mental health disorder. Often, it can be challenging to determine which one came first – a sort of ‘chicken or egg’ situation – and how to treat the symptoms and underlying causes of each. It’s for parents and other caregivers in this situation that we collaborated with Child Mind Institute on our new PDF guide, Substance Use + Mental Health in Teens & Young Adults: Your Guide to Recognizing & Addressing Co-occurring Disorders. What may be behind a young person’s change in behavior is often hard to pin down, particularly when substance use and mental health are both factors. But understanding how these challenges can manifest in a child’s life, and sometimes entwine to create new problems or complicate treatment, is essential to keeping kids healthy. This guide is intended to provide useful information, insights and resources that can help make this journey easier and help you get quality care for your child. This collaboration between Child Mind Institute and Center on Addiction can help you determine if your child is struggling with a mental health disorder as well as a substance use disorder, and what to do about it.